February 2016 - jxeeno™ blog. Geospatial analysis of the daily Qantas flight paths and NBN satellite beam coverage shows how NBN’s satellite network could be affected. Writer’s note: Qantas is a customer of ViaSat, not NBN Co. ViaSat intends to trial on-board internet using NBN Co’s satellites — however, they have indicated they intend to launch their own satellites (ViaSat-3) to deliver a long-term solution for on-board Wi-Fi globally. This Qantas-ViaSat-NBN Co deal is dependent on industry consultation being completed in June 2016. Qantas has recently announced that it plans to offer a Wi-Fi service on board its A330 and Boeing 737 fleet from early 2017 by utilising capacity on NBN’s recently launched Sky Muster satellite. However, many Australians living in rural and regional Australia have raised concerns that the Qantas service will cause further congestion on an already limited service. The company responsible for building the National Broadband Network, nbn, had completed a review of satellite capacity in its Fixed Wireless and Satellite review where it identified 31 beams around Australia that would be oversubscribed or severely oversubscribed once a take-up rate of 65% is reached. As a result, the company will introduce strict Fair Use policies to significantly limit the amount of data to 150 GB (priced at a premium) that can be used by each customer on a 4-week rolling average basis. Consequently, the Qantas announcement has infuriated many who are within the satellite footprint. Analysis of flight paths taken by Qantas’ domestic flights using their A330-200, A330-300 and Boeing 737-800 fleets show that all planes fly through at least one congested or severely congested satellite beam. 334 Qantas domestic flights utilise the A330-200, A330-300 and Boeing 737-800 fleet on the day analysed. Every flight flew under at least one oversubscribed or severely oversubscribed beam. 58% of oversubscribed or severely oversubscribed beams will have minimal impact, with at most 2 planes flying under the beam at any given time. The Sydney-Brisbane and Sydney-Gold Coast routes travel entirely within severely oversubscribed NBN Satellite beams (34, 29, 25, 20). The Sydney-Melbourne, Melbourne-Canberra, Sydney-Canberra and Townsville-Brisbane routes travel entirely within oversubscribed OR severely oversubscribed NBN Satellite beams. Over half (58%) of congested beams are not affected or are minimally affected by Qantas planes. Of the 31 beams considered oversubscribed or severely oversubscribed, 5 of them do not cover any current eligible Qantas flight paths. 7 beams will have at least one flight under the path at some point, and 6 beams will have up to 2 flights under it at the same time (within a 10 minute time frame). Beam 42 (Sydney Beam) is the worst affected, with up to 7 Qantas flights within a 10 minute time frame travelling under it. Beams 47 (Melbourne Beam) and 20 (Brisbane Beam) come in second, with up to 6 Qantas flights within a 10 minute time frame travelling directly under each of them. Beam 37 (Adelaide Beam) comes in third, with up to 5 Qantas flights within a 10 minute time frame travelling directly under each of them. It should be noted though, that for the day analysed — the Sydney and Brisbane beams only had the greatest number of flights under it for a single 10 minute time frame (between 8:50am – 9:00am and 7:30pm – 7:40pm respectively). Finally, by considering the average number of Qantas planes under a beam over a 24 hour period — we see that Beam 47 (Melbourne) tops out at 1.94 planes with Beam 42 (Sydney), Beam 20 (Brisbane) and Beam 41 (Canberra) following closely behind at 1.52, 1.45 and 1.22 planes respectively. Each flight and its flight path were analysed to see which NBN Satellite beam it flies under. The results shows that every single Domestic Qantas A330 and B737 flight flies under at least one oversubscribed or severely oversubscribed satellite beam. The most prominent are the Sydney-Brisbane and Sydney-Gold Coast routes, which flies entirely within severely oversubscribed beams (that’s beams 34, 29, 25, 20). Sydney-Melbourne, Melbourne-Canberra, Sydney-Canberra and Townsville-Brisbane routes fly entirely through oversubscribed or severely oversubscribed beams. For the full analysis output, click here! I find the results of this analysis somewhat inconclusive. Firstly, unlike domestic US services — the number of Qantas flights expected to get the Wi-Fi service is quite small. On the other hand, the bulk of the flights will fly under already oversubscribed areas. This is especially true for the beams serving the areas immediately surrounding the capital cities, which are all severely oversubscribed (bar-Darwin). These areas also have the greatest number of concurrent flights, represented by the “average number of planes over 24 hours” statistic. So, no. I don’t think there’s an immediate threat to congestion. However, it does set a precedent. If more carriers get on board… and if international flights get added to the pool as well — things could well change in the future. The flight data analysed was from Wednesday, 23rd Feb 2016. Qantas will only install the Satellite-powered Wi-Fi solution on their A330-200, A330-300 and Boeing 737-800 fleet. In all cases where the plane transverses an area with both a wide and narrow beam, the congested, narrow beam is selected. Plane locations are calculated in 10 minute intervals. Congestion (oversubscribed beams) are based on results in the NBN Fixed Wireless and Satellite Review. The company responsible for building the National Broadband Network, nbn, has revealed that it will not be providing a power resiliency policy to the NBN HFC network — expected to be launched in the second quarter of this year. In its draft Wholesale Broadband Agreement, released to Access Seekers for HFC Business Readiness Testing (BRT) today, the company states that it has “made the decision that a general power resiliency policy […] will not be implemented for the NBN Co HFC Network” as the “NBN Co HFC Network architecture is different to that of the FTTB/N Networks”. NBN’s FTTN and FTTB network benefit from having backup batteries installed within the node enclosures, enabling a certain degree of power backup for the active equipment located on the field. NBN’s Fibre to the Premises network is entirely passive in the field — meaning it is not impacted by on-field power outages. The HFC network, which NBN will acquire from Telstra and Optus, will replace the majority of existing copper phone and ADSL/ADSL2+ services delivered over the copper network. This means that during a power disruption on NBN’s HFC equipment, homes and businesses could be disconnected any fixed-line phone or Internet connection until NBN and its power supplier resolves the issue. This could be a significant concern for owners of security alarms, medical alarms and lift emergency phones which depend on a resilient phone connection — especially during emergencies. I’ve written in some more detail in a previous post on the impact of power outages on nbn’s Multi-Technology Mix technologies. You can read more about it here. Assignments at almost a thousand fixed wireless sites have disappeared after 2.3 GHz licence renewal in July last year. The company responsible for building the National Broadband Network, nbn, has apparently failed to renew its radio assignments for the majority of existing fixed wireless towers. 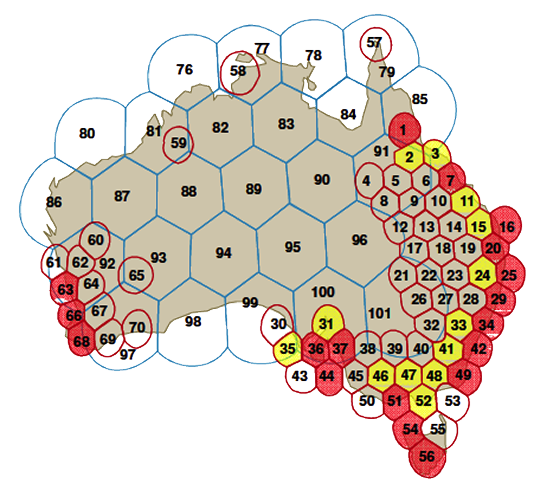 Despite having around 1,200 fixed wireless towers active around Australia, the company’s radio assignment records contains only around 200 radio sites with the 2.3 GHz radio frequency assigned. nbn uses the 2.3 GHz radio frequency to service areas in outer metropolitan fringes using TD-LTE 4G technology. However, since its licence renewal in July last year, the radio assignments in the majority of its existing fixed wireless towers have disappeared from the Australian Communications and Media Authority’s (ACMA’s) Register of Radiocommunications Licences. 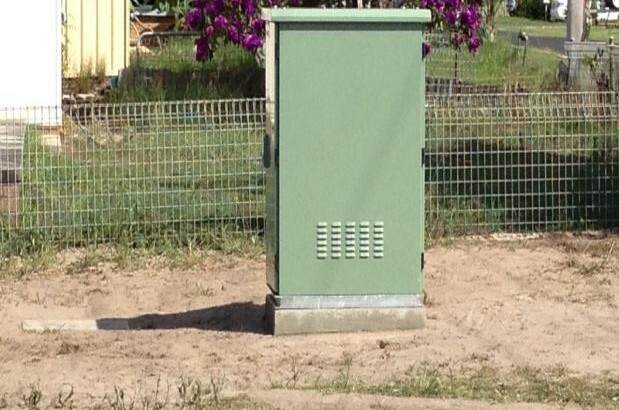 Contacting ACMA about this issue, the authority revealed that “it appears [nbn’s] devices on this site have not been renewed” after July and that they were “checking with NBN to find out what has happened”. 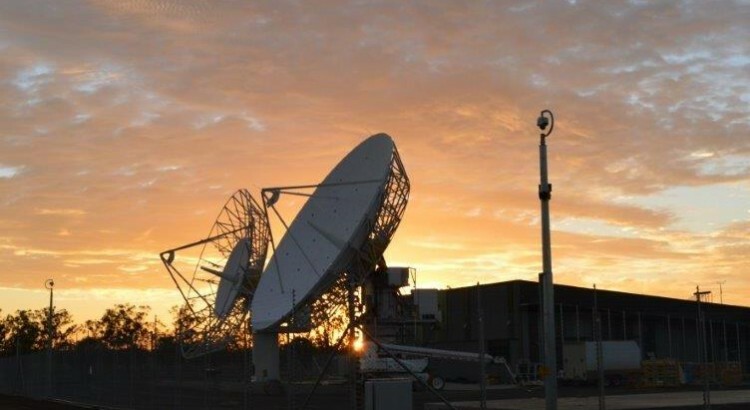 The company responsible for building the National Broadband Network, nbn, has updated its rollout map to include around 160,000 premises which are expected to be assigned to the Sky Muster satellite service launching in this half of the year. 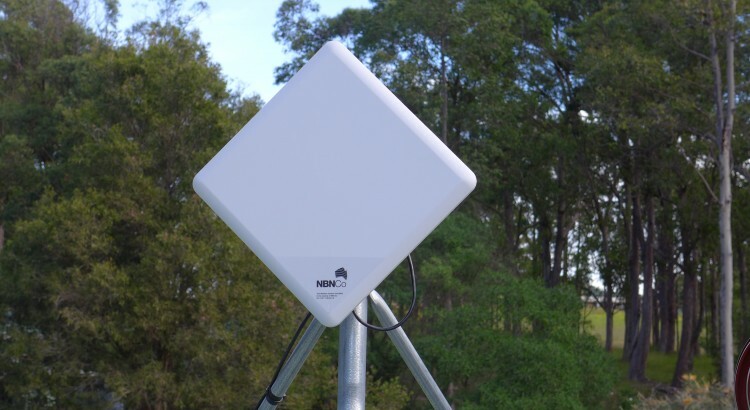 The satellite footprint will ultimately cover more than 400,000 premises, however, nbn has yet to complete detailed design in some areas to finalise the boundaries of the three main technology groups: satellite, fixed wireless and fixed-line. More addresses are expected to be added to the satellite list over the coming months. The company also expects the boundary between the technology groups to continually change as the other technologies continue to roll out nationwide. These initial 160,000 premises includes addresses from all states and territories including Christmas Island, Cocos (Keeling) Islands and Norfolk Island. A detailed breakdown of number of premises by suburb can be found at the bottom of this page. This list shows the number of premises within a suburb that has been included in the first tranche of addresses. Even if your suburb is listed, it does not necessarily mean that all premises in that suburb will be serviced by satellite. 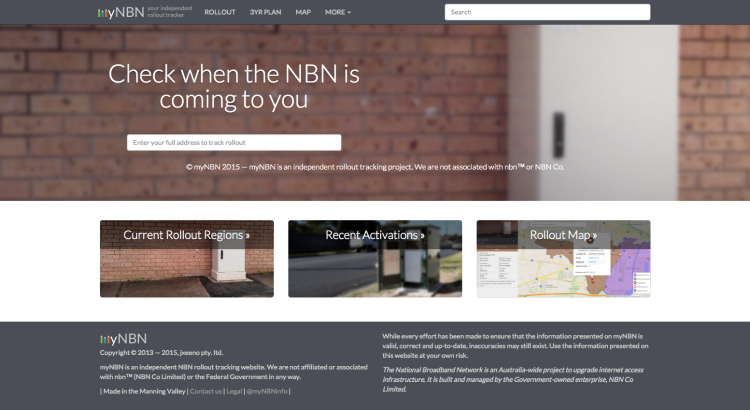 Check the nbn rollout map to check for a particular address. The Australian’s technology reporter, David Swan, has just posted a speed test over the new NBN Sky Muster satellite expected to be launched later this year. The speed test shows that real world speeds are close to the Layer 2 link speed provided by NBN (25/5 Mbps) — around 23.33/4.26 Mbps with a round trip latency of around 599ms.